Tis the season for everything Eggnog and with that comes a lot of Holiday activities and don’t forget Santa Claus is Coming to town too! Local New Orleans Residents, check out the dates and places on where you can find him for all the magic! 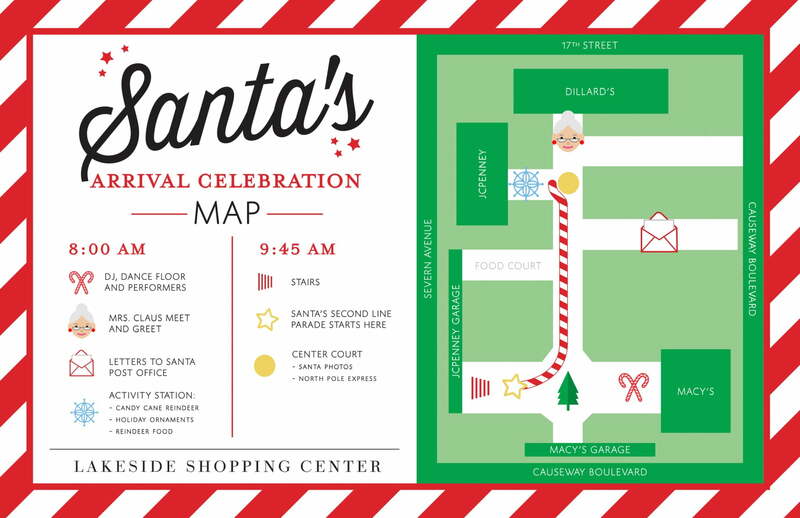 Lakeside Shopping Center invites you to Santa Claus’s Arrival Celebration! On Saturday, November 18th starting at 8:00 am. There will be crafts for kids, hula-hoop performers, a DJ, letters to Santa, a Mrs. Claus meet and greet and at 9:45 am Santa and his friends will parade to Center Court to celebrate with a sing-along before Santa takes his seat for photos and the North Pole Express opens at 10:00 am! 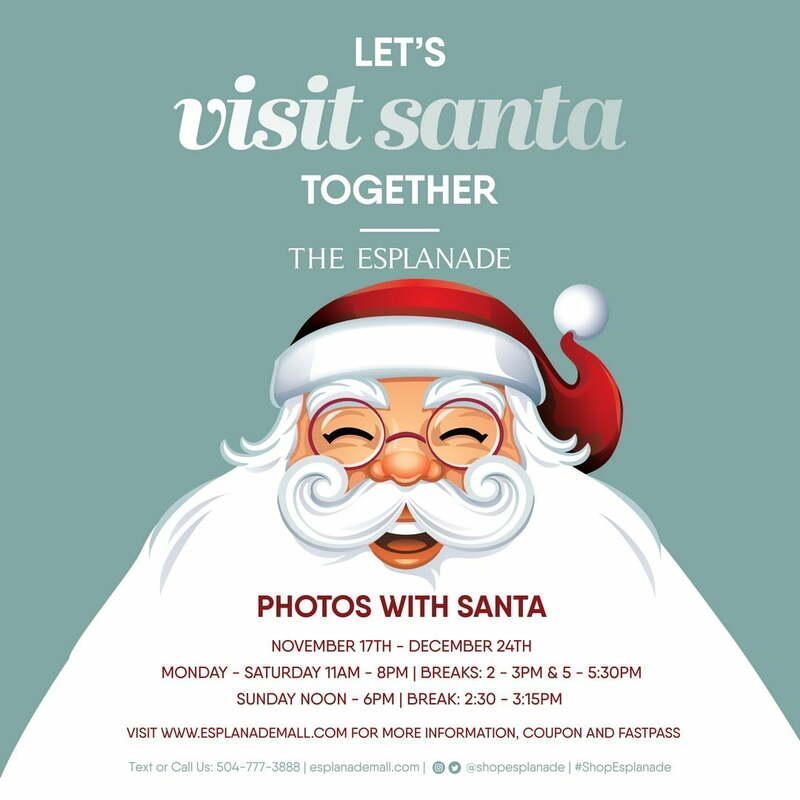 Esplanade Mall – Join The Esplanade to welcome Santa for the Holiday season at 6PM on November 16th! Enjoy holiday cheer and indoor SNOWFALL!! Grab the family and visit Santa for your annual holiday photos! 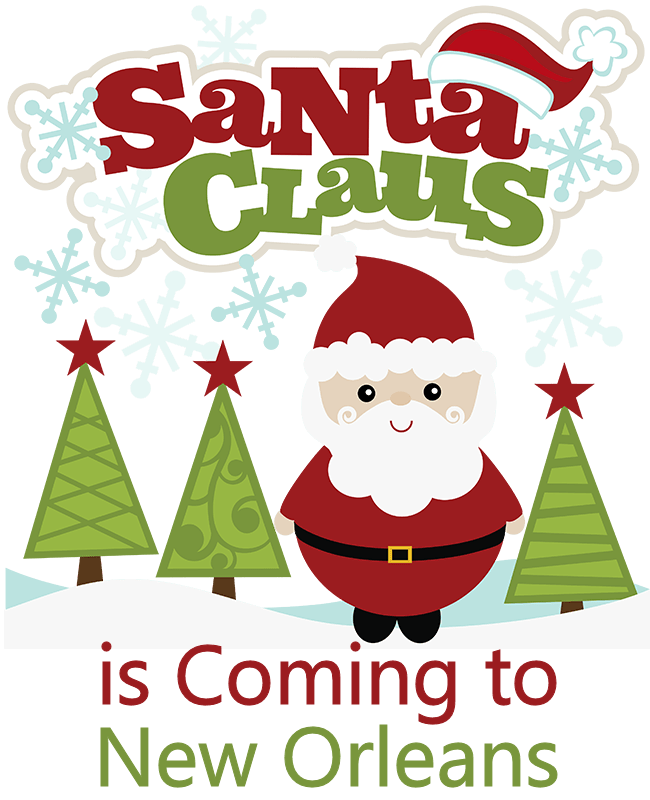 Santa will be at The Esplanade 7 days a week from November 17 – December 24. Compassionate Santa for children with sensory needs will be Sunday, Nov 19th 10AM-12PM and Sunday, Dec 3rd 10AM-12PM. Harahan Christmas Parade on Saturday, December 16, 2017 at Noon. 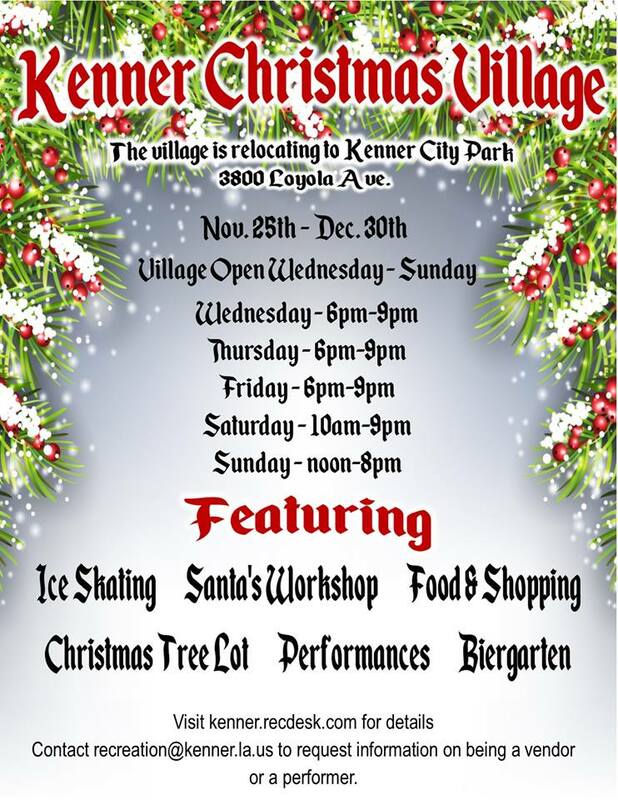 Starting at 6601 Jefferson Highway, following the traditional course westbound on Jefferson Highway, and disband after turning onto Folse Ave.
Holiday in the Park at Lafreniere Park – OPENS – Friday, December 1st. Beautiful light display throughout Lafreniere Park. Exhibit features LED lights with fantastic displays such as a lighted 60-foot Sea Serpent in the lagoon, a princess and her magical castle & the gingerbread man! Old favorites include holiday characters, the beloved Lombardi Trophy between two Saints Players, the Teddy Bear Factory, and Snowman Island! The park sparkles for the holidays with thousands of twinkling lights and displays. Children’s Carousel open nightly through 9:00 p.m. – $1.00 per child. Open Sunday thru Thursday Dusk til 9:45 p.m. and Friday & Saturday Dusk til 11:45 p.m. Located at 3000 Downs Boulevard, Metairie, LA 70003. $5.00 per vehicle – entrance on West Napoleon Avenue access gate of the park. Open Sunday thru Thursday Dusk til 9:45 p.m. and Friday & Saturday Dusk til 11:45 p.m.
Celebration in the Oaks Santa will be at Celebration in the Oaks each night through December 23rd. Lighting display will be open starting November 27 – January 2. Closed: 11/30 – 12/3, 12/24, and 12/31. Hours are Monday – Thursday : 6pm -10pm, Friday: 6pm -11pm, Saturday: 5pm – 11pm, Sunday: 5pm – 10pm. Last entry to event is 30 minutes prior to closing. The 2017 season is Celebration in the Oaks‘ 31st anniversary!